ArtPlay classes are an informal sessions where children come together to socialize, have fun and learn about art in friendly environment. ArtPlay experience helps your child gain an appreciation for art in aspects of colours, patterns as well as to develop their gross and fine motor skils. 1. The program will help children develop stronger motor skills through series of projects that is fun and engaging. 2. They will also learn and identify colours, colour values, patterns, shapes and lines which will help prepare them for tracing and writing. 3. All classes are project based, therefore children will learn to be independent and have confidence in their own abilities to create and complete those projects. 1. The Art People have been teaching art to kids for more than 5 years. We are know as the Art School for pre-schoolers. 2. Our teachers have art background and have a loving heart to impart their skills to your child. 3. 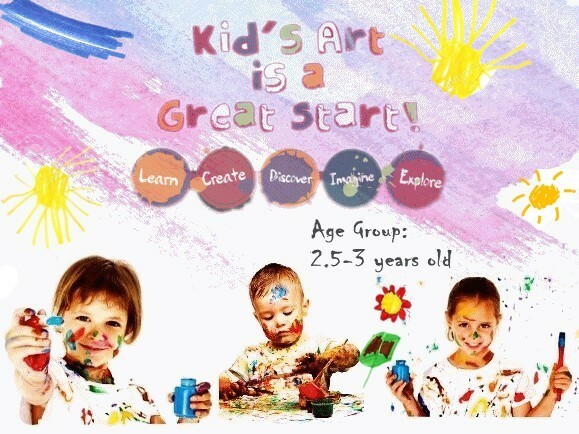 Art is an important development skills for children and we have designed the program to help your child better understand those skills through simple projects that are suitable for their age. 4. We don't just teach art. We help child learn in a "I will do my best" environment. Our classes are organized into 10 weeks term at once per week class. Our curriculum is carefully structured for your child to progress at his / her own pace with confidence and increasing interest.